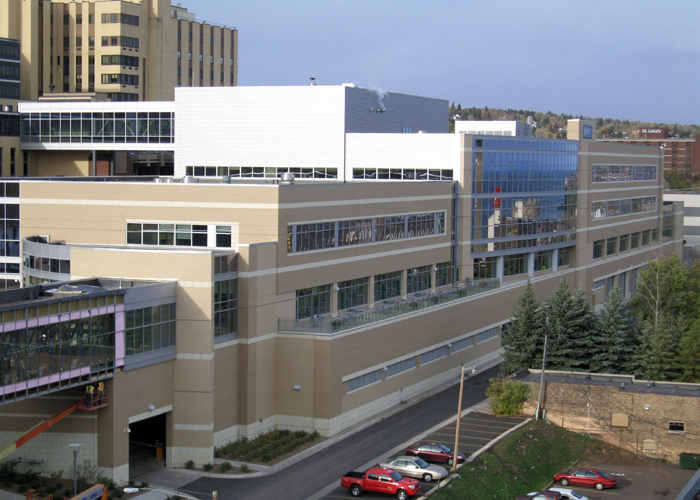 This new five-level, 260,000 square foot health care clinic contains a cancer center, outpatient imaging, radiology, two MRIs, two linear-accelerator vaults, women’s care, administration, a restaurant, loading docks, and two skyways leading to city-owned parking ramps. Foundation walls and footings are cast-in-place concrete, structural steel framing supports composite decks, and cast-in-place concrete shear walls resist lateral load. The structure was designed to support four additional levels of future vertical expansion for both vertical and lateral loads. 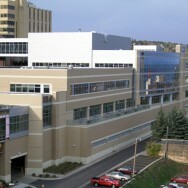 The clinic is the one of the first of ten healthcare facilities in the United States to receive LEED Gold certification, and the first in the State of Minnesota. More than 75% of the wood materials used in the building came from sustainably managed forests and more than one-third from within a 500-mile radius of the site.